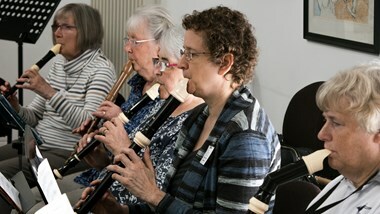 Inspire and inform your playing with this approachable course, featuring recorder music old and new with an enjoyable mix of ensemble and technique sessions. This brand new course aims to build technical proficiency and confidence, and to explore the concept of the recorder as both an ancient and modern instrument. Oonagh Lee was born in Glasgow and completed her studies at the Royal Academy of Music and The Koninklijk Conservatorium Den Haag. Since then Oonagh has become a regular on the historical performance scene as both an oboist and recorder player, performing with ensembles including Dunedin Consort, Orchestra of the 18th Century, Academy of Ancient Music and The Hanover Band.